This EasyShed workshop is one of the larger options in the range and perfect for someone looking for a serious workshop space. The steel workshop comes in a variety of colours to choose from and includes a wide (1.5m) double hinged door on the 6m side to give you easy access as well as a gable roof for extra head space. Increasing the height of the walls from the standard 1.8m to 2.1m (Very popular). Adding some accessories to organise your tools and items better. Include a window or skylight to improve visibility inside. 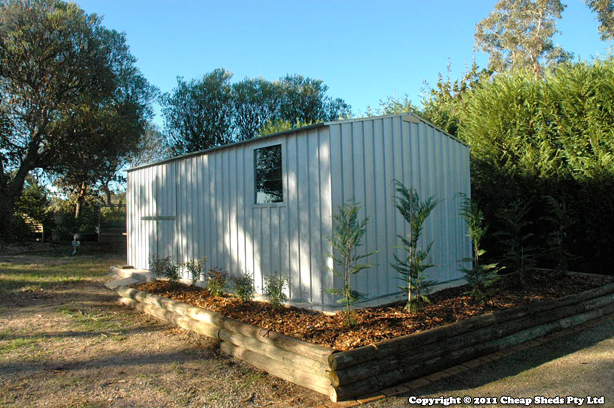 EasyShed workshops are Australian Made and meet Australian Safety Standards. They are designed to withstand the weather elements. All manner of clutter are moved from the garage to the shed which is now used partly for storage, but more importantly has become my wife’s garden shed to go with the Greenhouse we constructed together.